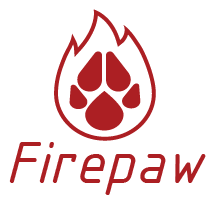 Average worldwide delivery time for custom built Firepaw Dog Treadmill is 10-17 working days and a 4-7 working days for Treadmills in store and product from dog gear. Delivery time around Christmas might take 2-5 working days more than usual. When the treadmill is in your city you will receive a call from the local transport company to arrange best delivery time for you. Treadmills sent outside Europe will be delivered to closest to you airport. When parcel is at the airport from customs will call you to pick it and fix import taxes. Dog Gear products with weight more than 2 kg in Europe are delivered by courier to your door and you are supposed to receive a call before they come. Most often we send treadmills with TNT and smaller packs with DPD. Running chutes, training springs and break sticks are delivered with regular posts and if you are not at home they will leave a letter to pick it from closest office. Smaller products sent outside Europe will be delivered by regular post service and you will receive a letter from local post office once it is received there. Before signing the documents for delivery please check carefully if the package is not damaged from shipping. Even if the delivery man have to wait for a while.If there is some damaged from transportation please note that in the documents you are supposed to sign and make picture in order transport back to be refunded. We recommend to open the parcel and check if everything is fine before signing documents from transport company. Our policy lasts 10 days. If 10 days have gone by since the delivery of your purchase, unfortunately we can’t offer you a refund or exchange. Given the value of our products, you should consider using a trackable shipping service or purchasing shipping insurance. We can not guarantee that we will receive your returned item.